The recommendations to the NEP 2016 had come out earlier. Now a draft of the NEP 2016 has been made available – Draft NEP-2016. There is a crowdsourcing Wiki that has been set up as well. Here are a few comments. The National Education Policy (NEP), 2016 envisions a credible and high-performing education system capable of ensuring inclusive quality education and lifelong learning opportunities for all and producing students/graduates equipped with the knowledge, skills, attitudes and values that are required to lead a productive life, participate in the country’s development process, respond to the requirements of the fast‐changing, ever‐globalising, knowledge‐based economy and society. Learning through Massive, Open and Online Courses will enable all Indians who want to learn, earn, teach or innovate, the capability to realize their true potential and transform our country. Not calling them out explicitly means we will have zero mission-level policy focus on breakthrough evolution of our system. It is open to interpretation to just use these implicitly as modalities of change or not at all. These are extremely important omissions – a national policy without mission-level focus on technology, research and entrepreneurship in education is bound to only be incremental in nature and spectacularly insufficient to meet the vision. It is also equally striking that core components of the system like curricular reform and use of ICT are skewed more in favour of school education than HE/FE. There is a high strategic re-use of technology across SE/HE/FE/VET that seems to get lost in the massive silos we have constructed. Another deficit is in the policy for execution – the operations of change for the education system. Policy goals without time frames, roles, competencies and accountability indicate a policy so diffuse that it will become operationally impossible to execute at any scale. Absence of these factors in a policy document indicates that potential future scenarios have not been considered and there is no working plan to execute the policy. There is also the lack of orchestration. Policy makers need to situate themselves in the fast moving global education context itself and carve out/analyze scenarios for the future. They need to create a framework for orchestrating the intended outcomes and measuring the future impact of their policies. In the absence of a formal model around the same, policy documents can remain a lip service for both intelligentsia and the government. It would be interesting to also compare the recommendations on NEP with this draft. One notable difference is the absence of the educational tribunal idea. It may be fashionable to state that the MHRD and State Departments are accountable. But how? Is there a framework for holding accountable the largest education player? Please don’t say it’s democracy. Out of the several challenges addressed by this policy (access to and participation in education, quality of the education imparted, equity in education, system efficiency, governance and management, research and development, and financial commitment to education development), I would like to focus on some specific sections for my comments. One of the things that beats me is why curriculum is so strongly focused upon in School Education, but not in HE. It is good that NCERT will get focus and chances to innovate. The move towards a common core like situation may seem slightly dated considering the US experience so far. I deplore the idea of making ICT a subject in its own right (more on that later). More comprehensive assessments need more qualified teachers supported by a really large resource base – I think this is over ambitious, but an important goal. Exam reform needs to definitely look at standardizing the scoring in exams, making them less susceptible to tampering by assessors – scaling by percentile will not make any difference. I am not sure when we will stop using this very abused and somewhat anachronistic (now) term. I am not even sure why this should be a subject in a teacher training curriculum. I am aghast when they write that MOOCs are another application of ICTs. That is certainly not a correct interpretation. Fundamentally ICTs for technology enabled learning are enabling and empowering technologies, entrenched in practice and ever changing, ever evolving. So long as we think of them as subjects and not as tools, we will continue to remain backward in their use. Rather than thinking of them as curricula, we have to start thinking of them as tools to enable the curricular practices. ICT, when referring to process automation (attendance, governance, knowledge management, analytics) and infrastructure is given focus in the draft. I see the emphasis on efficiency as important in the report. However, what is the use of ICT in education if there isn’t a concerted policy effort to provision it? The surprising absence of the NMEICT, for example, from the policy document indicate the lack of focus on ICT. Also missing are the policies around open licensing of digital/OER content created through taxpayer money. Good to have Teacher Education Universities in place. They will play a critical role. Also good to have have mandatory accreditation and standards for TEIs. The recommendation on teachers having to prove their pedagogical and subject knowledge every 5 years linked to appraisals is more than a little draconian. So long as we focus on such assessments and no continuous evidence of good practice, we will stay backward in TE. Good that a teacher educator cadre is being proposed. On MOOCs, it is good that a body is proposed to be set up for credit management and quality standards, something I have been advocating consistently. In fact, I would have loved to see the birth of the National Learning Corporation as part of this policy – a corporation with it’s sole and dedicated focus to improve the development and use of learning materials, technologies, research and entrepreneurship in India. 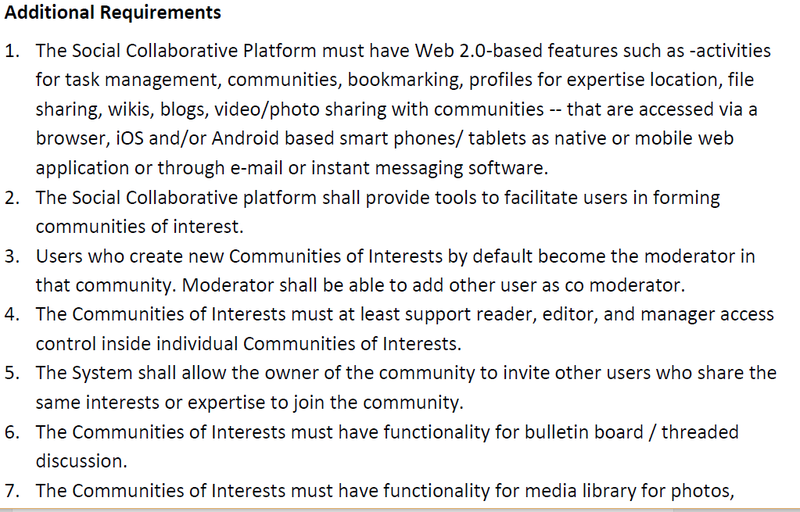 However, and this is a big question mark, if ODL/MOOC standards are to be laid out by a single body, it will be super-critical to have very competent people doing that. If it is anything like what existing ODL standards are like (take a look at UGC DEB or NBA guidelines for what distance education courses should be like), we are pretty much in trouble. Or if they persist in trying to re-purpose NMEICT content into MOOCs, the danger is that all providers will be held hostage to that parochial definition. 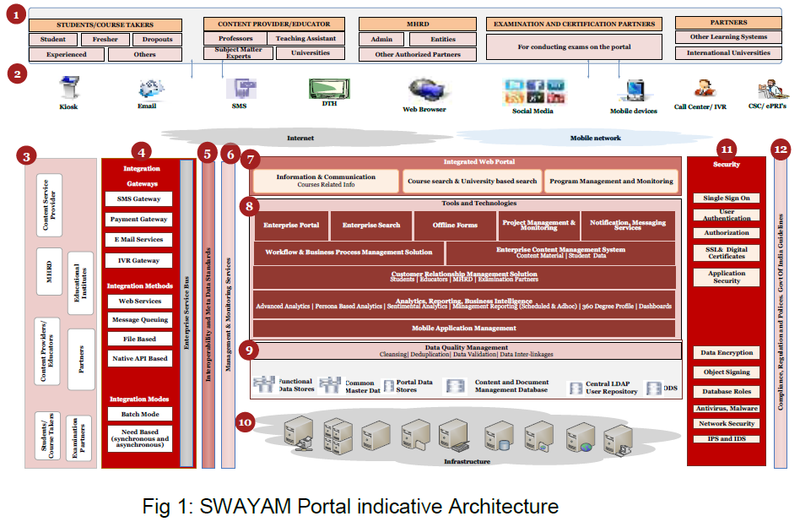 A related concern is SWAYAM itself. With plans (again) to launch it on August 15, there isn’t much clarity of the shape or form it will take. I am happy the policy proposes setting up a Central Educational Statistics Agency, another one of my asks. I am really happy that a Certificate of Teaching is being introduced for (at least) new entrants in HE teaching, again something I have been advocating consistently. I am also happy about the focus on leadership development, sorely inadequate in the current context at both school and HE levels. It is good to see NUEPA get some visibility – that is the one organization that has the mandate to do some great resesrch – just remains to be seen how. But we need some serious Ed and EdTech centres of excellence. 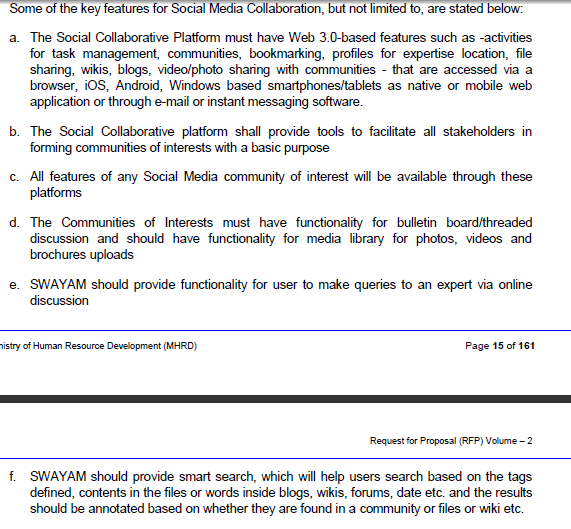 The FICCI MOOC report has important recommendations for the MOOC ecosystem. 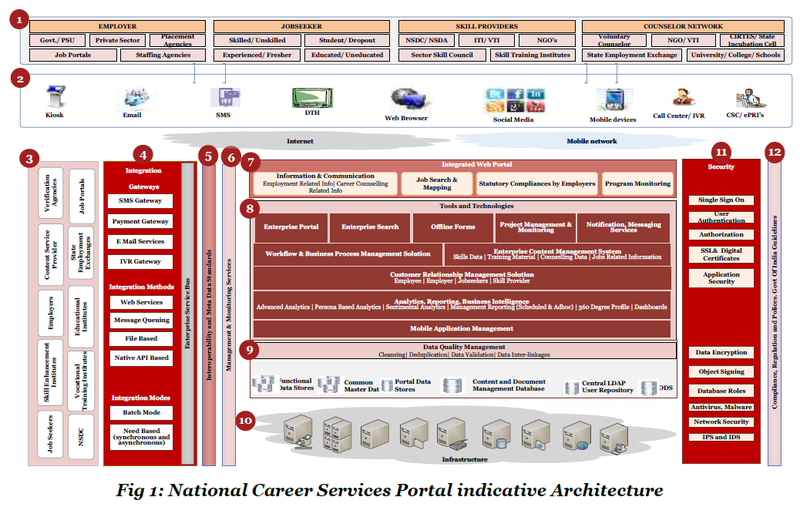 Develop systems to recognize or certify competence of individuals who have taken MOOC-based courses. Promote and fund R&D of MOOCs and its variants to address areas that are still “works-in-progress” as also areas that will enable use of MOOCs and its variants to address needs that remain unaddressed. Examples include giving “proctored” exams in multiple remote locations, or computer-based evaluation of students’ responses to exercises. Promote and fund the development of MOOC courses, tools and platforms for use by a large number of organizations to serve millions in formal, non-formal and informal education sectors. Promote and fund an assessment of the quality of education delivered in courses that are delivered online using MOOCs pedagogy as compared with other modes of faculty-led instruction in large classroom formats. Sensitize organizations, viz. institutions and corporate entities, faculty, students and parents of the merits and de-merits of MOOCs and their applications to formal, non-formal and informal education. Eat your own dog food. Make sure government personnel across all departments also start getting appraisals linked to MOOCs or online modes. Like American Council of Education (http://www.acenet.edu/Pages/default.aspx) and the National College Credit Recommendation Service (NCCRS, http://www.nationalccrs.org/ccr/home.html), NBA and NAAC can accredit MOOC programs and courses for use in credit transfer (http://chronicle.com/article/American-Council-on-Education/137155/) between MOOC Providers and formal & non-formal educational institutions. Institutions and education providers may train its faculty in developing high quality digital content for courses they offer, as also in giving courses using MOOCs pedagogy (with or without blending them with faculty-led problem-solving sessions). Re-assess and revise existing curricula from the viewpoint using MOOCs as a way of delivery instruction to students in formal, non-formal and informal higher education. They may develop frameworks for instruction quality assessment and assurance, towards which they may develop quality standards against which quality is to be assessed. Institutions and education providers may undertake R&D of MOOCs and its variants to address areas that are still “works-in-progress” or address needs that remain unaddressed. They may also collaborate with others to undertake development of MOOCs tools and platforms. By collaborating to create a common vocabulary linking credits to learning outcomes across all programs and courses (similar to the European Credit Transfer System [ECTS] – http://ec.europa.eu/education/tools/ects_en.htm – or through some other mechanism), a robust framework for credit transfer may be created. This shall allow MOOCs to play a significant role so long as they comply with the framework. Open and Distance Learning Providers may quickly adopt MOOCs technology and pedagogy to provide new learning experiences to their students. India could also have its own Open University MOOC initiative like in countries such as UK and Australia. Teacher Education Institutions may quickly build capability in MOOCs and adopt them formally in their curriculum. It is also very important for them to invest in leading this change across other institutions. They may encourage their own HR departments to arrange for continued education of their employees in emerging areas of technology or management. Employers may work with industry associations like FICCI and others to facilitate development of standards for quality assessment and assurance. Agree on a common Badges system, perhaps based on the Mozilla OpenBadges framework. Help MOOCs pathways emerge and the MOOC system become fully interoperable – recognizing and sharing MOOC credits, credentials, prior learning and portfolios. Facilitator organizations like MOOCs University (http://www.moocsuniversity.org) and OERu could also become useful entities in the ecosystem. Help consolidate learning records through providers such as Degreed (https://degreed.com/). Degreed is a free service that tracks and scores all of a person’s education—from books and online courses to formal college degrees. Help build/recognize “nanodegrees” or similar employment pathways as popularized by Udacity – https://www.udacity.com/nanodegrees – or XSeries from MIT-edX, https://www.edx.org/xseries or Signature Track from Coursera. 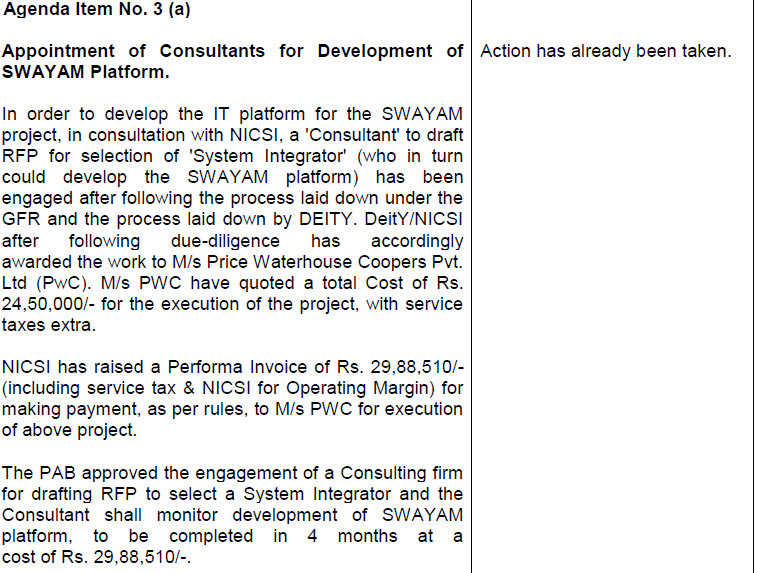 I had proposed various recommendations in my other consultations for FICCI. Evangelists: Carefully identify 2 edTech champion teachers from each district of the country and put them through an intensive two-year program (in India and abroad) that exposes them to technology enabled learning and teaching techniques. Each one of them should at the end of the two years have a viable actionable plan for improving usage of technology by teachers, building a community of teachers, creating starter guides, running coaching programs for teachers, revising the ICT curriculum & practice in B.Ed colleges etc. Then give them enough resources and authority to implement agreed measures such as independent audit/assessment, budgets to hire small teams, recruit part-time teachers, equipment, travel etc. The program can be created by the government in-line with their ICT objectives. Practice what you preach: Revise the teacher education programmes so that they include elements such as gamification, simulations, serious games, MOOCs, OERs and other edTech advancements as part of the teaching and learning strategy of the program itself that is delivered by teacher educators. Include new theories &practices of digital social learning in the curriculum. Allocate sufficient budgets for global scholars of new digital learning paradigms to interface with our educators via structured & focused programs and projects. Experiment and Design: Create R&D hubs where teachers, technologists and teacher educators come together to solve our challenges of infusing technology and network led approaches at scale and with quality & equity. These hubs should have the objective of providing solutions for the greatest impact at the lowest possible average costs, as well as for setting the edTech strategy and plan for the country. All content and services developed under NMEICT should be exposed through API. Content should be made easy to discover and re-use. NMEICT should set up an open broad based membership structure, open API and charter that incentivises contributions from society and large organizations for the national good. Educational Data Mining: Extend DISE to include learner and teacher activity data; improve and extend coverage; build a strong cadre of information and analytics professionals. Make data openly available much beyond what is available currently. Capability: Create a scheme to fund 500 global Ph.D.s in Education technology over the next 5 years. Areas of focus – MOOCs, Serious Games, Simulations and Gamification, Big Data / Learning Analytics, adaptive learning, 3D printing, wearable computing for education etc. Community building: In order to help establish a national community that can create and localize content, share best practices & data, and evolve to support each other in the implementation of ICT, make it easy to discover resource persons, experts, experienced practitioners through social networks and start multiple domain specific open source projects to engage the community.